The Senate is investigating the expenses of 6 evangelists. "When I think of Jesus Christ and I think of the way we as Christians in many cases worship today, we are so unlike him, so unlike him in so many ways." Ministry Watch rates Christian organizations for their transparency. 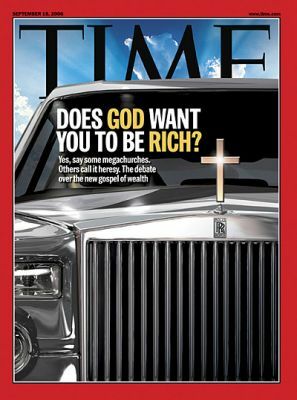 I used this article in Time for a Sunday School class last fall. I can't remember what biblical text we used.